1. 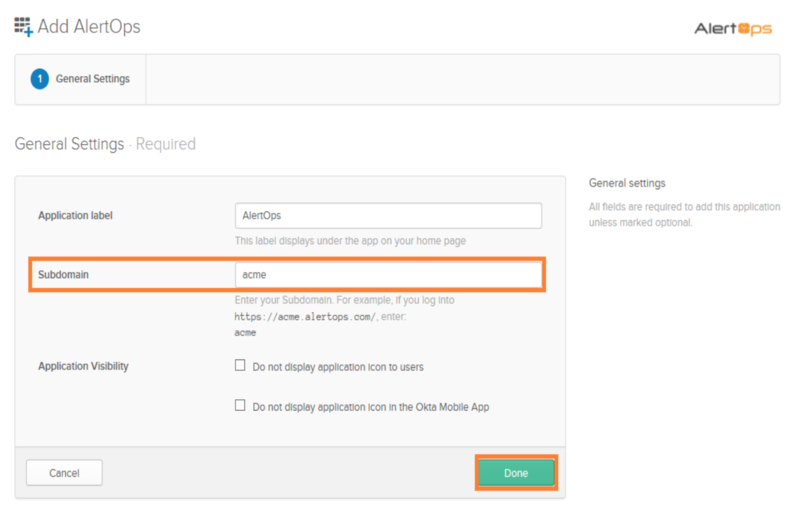 In Okta, click on the Admin Menu. 2. Under Shortcuts, click Add Applications. 3. Search for AlertOps then click Add. 4. 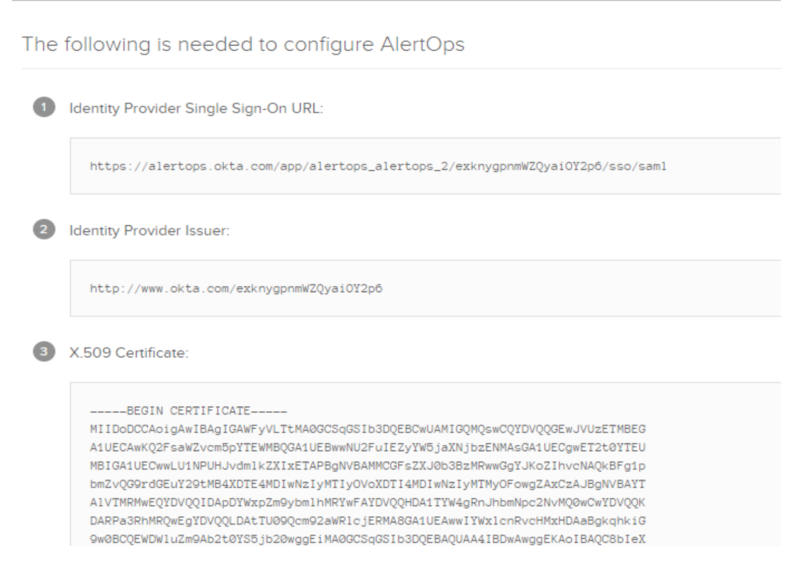 Enter your AlertOps Subdomain and then click Done. 6. Click on Sign On tab and then click View Setup Instructions button. 8. 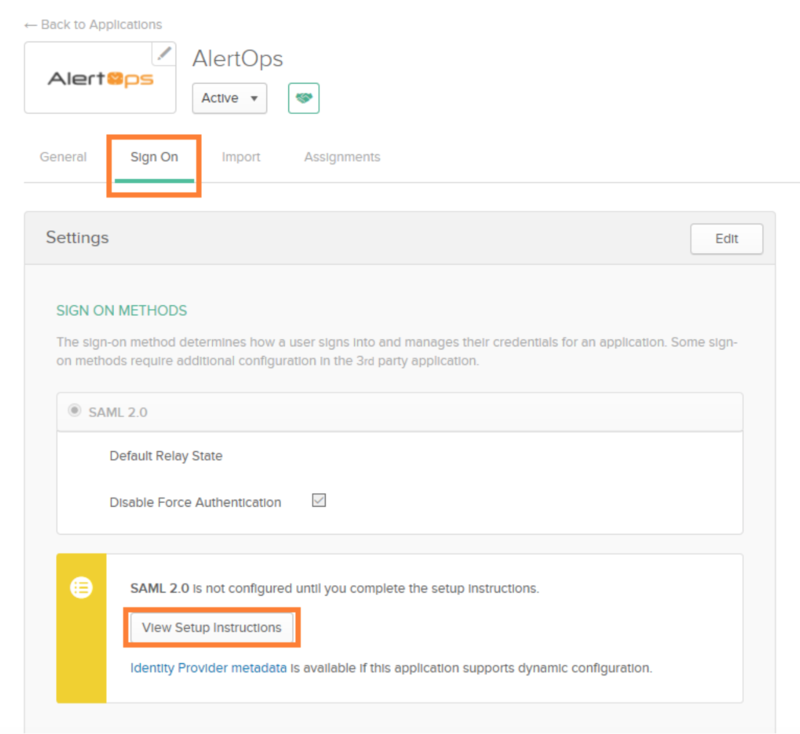 Check “Use Single Sign-On (SSO)” checkbox in the top left section. 10. Click “Save” Button when complete.